Elliott Whitehead’s (2RF/CTW, $457.7k) real life versatility has finally been rewarded in 2019 with the ‘Holy Grail’ 2RF/CTW positional eligibility that can form the backbone of any SuperCoach team. But is this 80-minute edge player the no-brainer that he seems on the surface? In 2016, Whitehead left Catalans to join fellow countryman Josh Hodgson at the Canberra Raiders and made an immediate impact in both SuperCoach and the actual NRL. He played every minute of the full NRL slate (23 games on the edge and one game in the halves) and would finish with an impressive 61 PPG average that was good enough to finish 23rd overall in total points scored. With 48 BPPG and a nose for the try line (he broke the stripe five times in 2016) it looked like the sky would be the limit for the Englishman. 2017 saw the versatile Whitehead switch between the edge, lock and even the centres. Although he scored the same amount of tries as 2016 his BPPG dropped to 43, thus reducing his PPM from 0.75 to 0.68. This resulted in a 54PPG average (including 26 and 10 in his 2 games at centre) – a 7 PPG drop from the previous season. The decline is less severe when only considering his games on the edge (the position he will play this upcoming season), which adjusts his average to 58.5 PPG. Whitehead burst out of the gates in 2018, scoring four tries in the opening three games and totalling 10 for the season, doubling his best efforts of each campaign prior. Despite this, he truly started to become a victim of his own versatility by again starting two games in the centres by switching there multiple times in matches when injuries struck. Troublingly, despite this offensive outburst his PPM would drop to 0.61 with a season average of 49 PPG. This would only rise to 50.5 PPG when exclusively considering the games he started on the edge. This doesn’t paint the best projection as it is unlikely that Whitehead will match his 10 try performance in 2019, particularly with the emergence of Joseph Tapine as an 80-minute attacking edge prospect. Ricky Stewart’s latest English recruiting blitz also sees talented players such as John Bateman and Ryan Sutton join the pack, who will demand a share of the ball. So, what will all this amount to in 2019? Unless Whitehead can rediscover his base and remain exclusively on the edge – not to mention forging combinations with the new look spine – an improvement on 2018 is not likely. Now, I’m not saying to outright to avoid Whitehead: he is certainly incredibly talented. Additionally, the Raiders soft opening draw means he is as likely as any to notch some early meat pies, rise in price and be sold at a profit (potentially to Manu Ma’u after a few price drops). However, if the tries don’t come he will easily fall into the ‘mid-range trap’, whereby he doesn’t produce elite points nor make you any cash. Ironically, the season in which Whitehead gains CTW eligibility we are spoilt for choice with back-row forwards who can be stashed in the centres. Manu Ma’u is arguably the premium option though one you’d probably only consider after a few price drops. John Bateman is $57.7k cheaper and has greater points potential. Kurt Capewell is $117.5k cheaper and could produce a similar average while earning more cash. Then you’ve got a sneaky chance that Briton Nikora (2RF/CTW, $168.1k) bags a starting spot at Sharks, or that NRL exile Taane Milne (2RF/CTW, $181.1k) bursts back onto the scene at the Warriors and punches out similar scores to 2016 where he averaged 54 PPG. And we haven’t even approached the candidates who are centres in real life. At the end of the day, if you select Whitehead you’re banking on him making more cash or scoring more points than the aforementioned 2RF/CTW prospects. Also, considering the slew of viable cheapies at the position I’ll likely be spending elsewhere. Top of my Avoid list. Worth pointing out that he played in the centres last year twice – scored 24 and 31. In 2017 he played in the centres also twice with scores of 26 and 10. The reliance on tries last year is very alarming. No go for me, regardless of the DPP – unless he starts at lock, which is not likely. 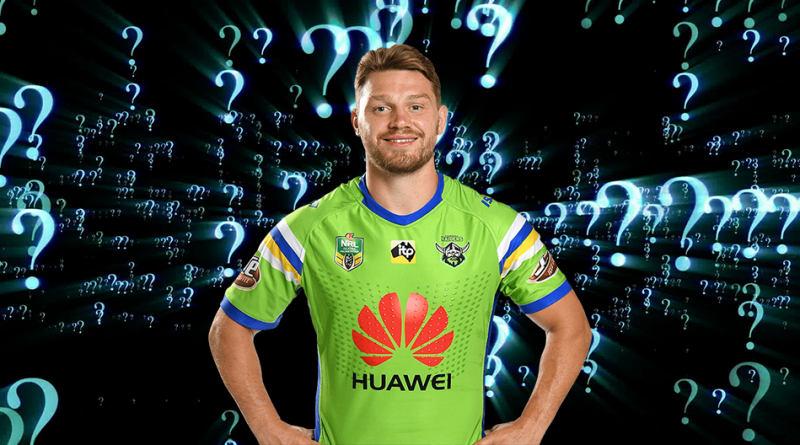 How will the Raiders minutes in the forwards look next year? Avoid for me although I think the raiders will go well this year. I see the defence getting them ahead this year and the attack not so much . Great write up mate thanks. I will be avoiding first up and hopefully going for a few cheaper 2nd row options in the backs. Interested in the John Bateman comment, what is everyone’s thoughts on him? Potential gun if he gets the minutes, which could be hard to come by, given the state of the Raiders 2RF. “His stats from 2018 are appealing to say the least. He also split his games in the centres and backrow, so who knows where he will end up this year. instead of bj and croker? With the loss of the science experiment and Jnr, i feel theyll move papali into the middle, tapine will get one edge, either whitehead or Bateman the other (hopefully Bateman and Whitehead to lock. Thoughts? COuld be whithead 2.0 thats why I will be avoiding, watching from the sidelines all Raiders have me scared ATM. FWIW, I think we could see a lot of chopping and changing with positions/minutes in the Raiders pack if they don’t get off to the start they want. Like the Tigers pack last season with different combos. This really feels like a final push for the Raiders with their current squad.